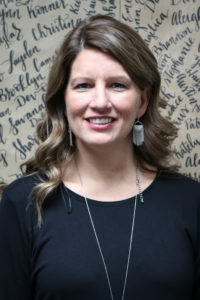 Susanna Kavanaugh is the Executive Director and co-founder of The Least of These Carolinas. She has a heart for children and is a great advocate for their needs. Susanna and her husband, Sean, became involved in orphan ministry in 2009 when they became foster parents. They have fostered long term placements and have grown their family by adoption through foster care. She and Sean live in Gastonia with their three daughters and one grown son who is married. Susanna has a desire to help the children of her community and help restore hope in their broken lives. Her prayer is that these children and their families would feel the love of Christ through this ministry. Chad has been married to his wife, Courtney, since 2006 and dad to Raegan since 2013. 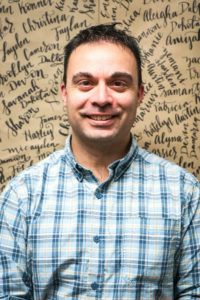 He is the Student Pastor at First Free Will Baptist Church in Gastonia where he desires to see students and their families find meaningful relationships with Jesus. He has also been a foster dad since 2016 and sees fostering as a way to shine the light of Jesus to kids in need of hope. 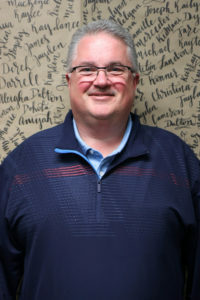 Jim Gallagher is a Gastonia City Councilman. He & his wife, Charmaine, have made Gastonia their home for the past 20 years. They have raised 2 children both in college, Jordan & Caroline. Jim has a servant’s heart to help and serve the people of Gastonia and Gaston County, especially the Foster children that live among us --- the Least of These. 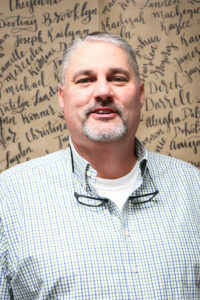 Pastor Ronnie Bowers was called to serve as the Senior Pastor of Flint-Groves Baptist Church in February of 2000. Pastor Ronnie was ordained to the Gospel Ministry by Mulberry Baptist Church in Charlotte, NC. He received his Master of Divinity from Southeastern Baptist Theological Seminary in Wake forest, NC. He also received a Bachelors of Science from Gardner Webb University in Boiling Springs, NC. Ronnie has a passion for orphans and is excited about being a part of this ministry. Pastor Ronnie and his wife Norma have four children. Mamie Rudisill was raised in Gaston County and now resides in Lincoln County with her husband, Gary Rudisill. She recently retired as founder/CEO of M.R.Printing Solutions, Inc. Mamie and her husband are members of Bethlehem Church. 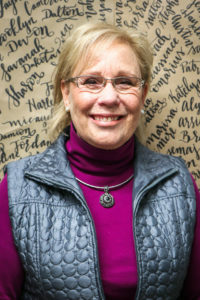 Mamie considers it an honor and a privilege to be able to serve on the Board of the Least of These Carolinas, and to follow as He commands in James 1:27: "Here are the kinds of beliefs that God our Father accepts as pure and without fault. When widows and children who have no parents are in trouble, take care of them." Blake Harris is from Lowell, NC and has been married for 8 years to his wife, Stephanie, and has a 3-year-old son, Hayden. Blake is a 2003 graduate of UNC‐Chapel Hill majoring in Business Communication and minor in Spanish. 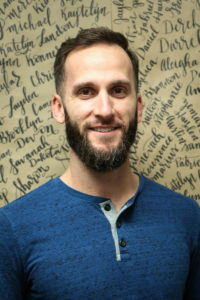 Blake has been living in Gaston County since 2007 and attends Venture church in Dallas, N.C. Over the past several months, he recently became more aware about what Least of These Carolinas is doing in the community and excited about the opportunity to become more involved. His wife volunteered at the Shoes of Hope event in 2015 and was very impressed with the organization and excited to see how they are impacting the community in such a positive way. 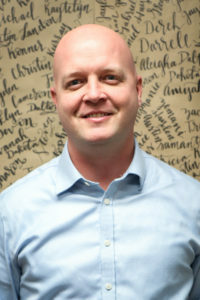 Blake is a regional production director at Cintas Corporation. 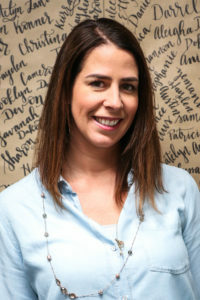 Lauren Salinas Layne, lives in Charlotte with her husband and two children but was born and raised in Gaston County, where she works for her family's car dealership, McKenney-Salinas Honda. Lauren has always been called to serve and help others and feels most passionate about advocating for our foster children. She feels honored to be part of such a wonderful organization that can make such a positive impact on these children. Frank and Angela were married in 1990. They have two wonderful Daughters, Lindsay 24 (Married to Josh Clontz) and Morgan18. Lindsay is a nurse at Covenant Village and Morgan attends Gaston College. Frank and Angela own Metro Print in Mt Holly. Currently they attend Venture Church in Dallas, NC. Frank’s grandparents served as Foster Parents in Tuscaloosa, AL. While attending his grandmother’s funeral, he was deeply moved by the stories that were told by the children they fostered. They spoke of the impact his grandparents had made in their lives. Frank and his family are honored to serve foster families in our community. Jake and his wife, Sandi, have been calling Belmont, NC their home for over 15 years. With over 20 years of Management and Leadership experience, Jake has had a leadership presence in businesses ranging from small office settings to Fortune 100 companies. As a father of 3 children, Jake has a huge passion for all children who need a Forever Family. Having opened their own home up to foster care and later adopting a child themselves, the Farnhams have a long term commitment to supporting children and foster families in whatever capacity that is needed. Scott D. Alexander, CPA was raised in Gaston County and continues to live there with his wife of 30 years and their triplet daughters. He and his family are active members of First Free Will Baptist Church in Gaston County. 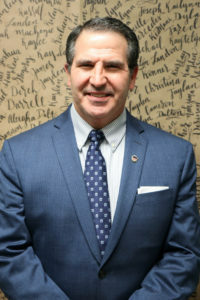 He is a graduate of the 1987 class of UNC-Charlotte, where he received a Bachelor’s Degree in Accounting and has been a Certified Public Accountant for the past 28 years. 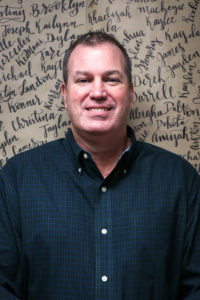 Scott is elated to give back to his hometown community by serving on the Board of Least of These Carolinas.